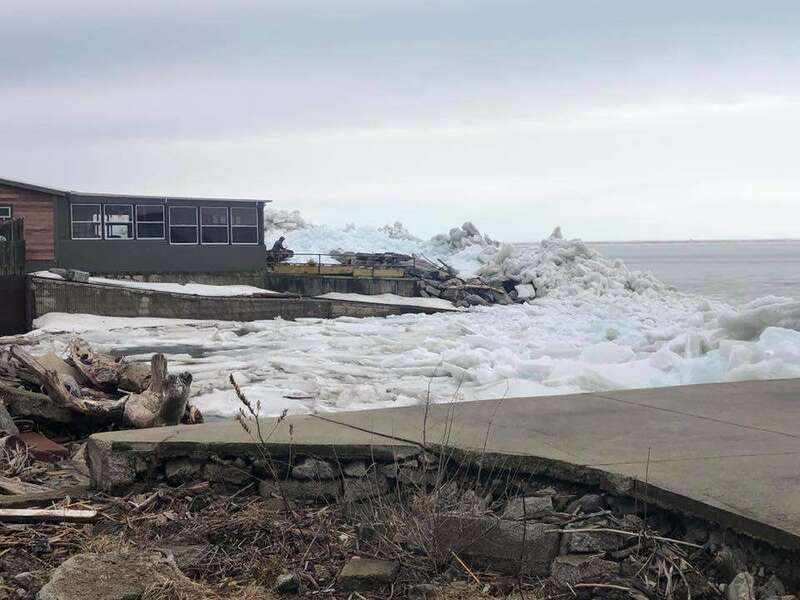 Home News 2019 What’s Really Happening With The “Ice Tsunami” Forcing Lake Erie Residents To Evacuate? What’s Really Happening With The “Ice Tsunami” Forcing Lake Erie Residents To Evacuate? 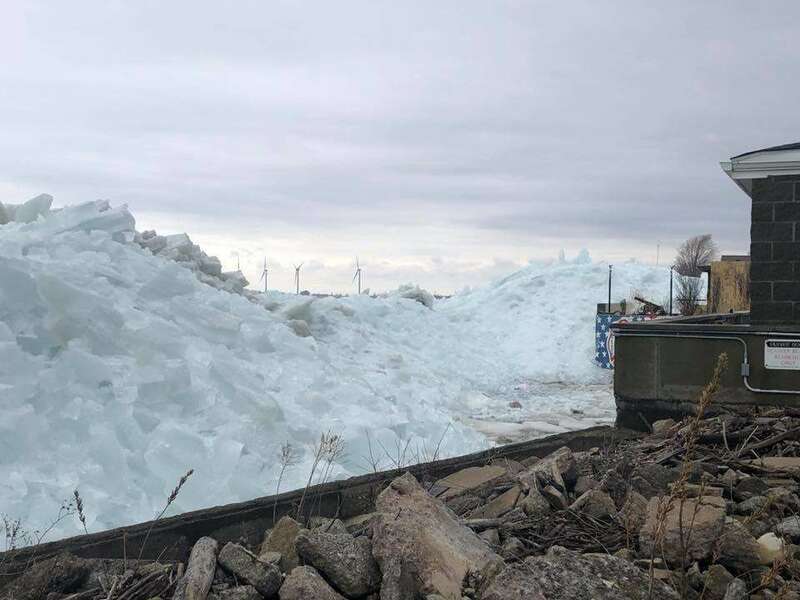 Strong winds have forced a massive wall of ice worthy of a Game of Thrones shout-out against coastal buildings, prompting emergency services to issue a voluntary evacuation in a small New York town. A now-viral dramatic video of the “ice tsunami” shared by the Niagara Parks Police perked the ears of weather enthusiasts around the globe as it captures the rapid movement of ice chunks making landfall and piling into the roadway. More commonly known as ice shoves, these blockades occur when strong winds rapidly push free-floating ice toward shore, resulting in dangerous pile-ups once they make landfall. This was the case over the weekend along Lake Erie in upstate New York, where residents saw sustained hurricane-strength winds of more than 113 kilometers (70 miles) per hour. Nearly 100 million people were under wind advisories as the Great Lakes and Northeastern US continues to be blasted by a damaging windstorm. Last week, the same weather system dumped snow on the normally arid areas of Arizona, Los Angeles, and Joshua Tree National Park. Ice shoves are most common in the spring when frozen lakes begin to thaw. During a breakup, ice will typically free float over lakes or oceans “like a train with steel wheels on a steel rail”, encountering very little friction. It’s when ice coincides with an obstruction like land that it can build up quickly. If ice is pushed up against homes or businesses, Futrell advises residents to clear it away to avoid water that might seep through walls, windows, or cracks.